Lang & Heyne is hoping to turn heads at Baselworld this year with its first tourbillon piece. German independent, Lang & Heyne is a brand in Dresden city that makes ultra-high end traditional timepieces. This time around for 2018, the company has continued with its art deco style and built upon a previous 2017 piece, this time fitting it with a large tourbillon. 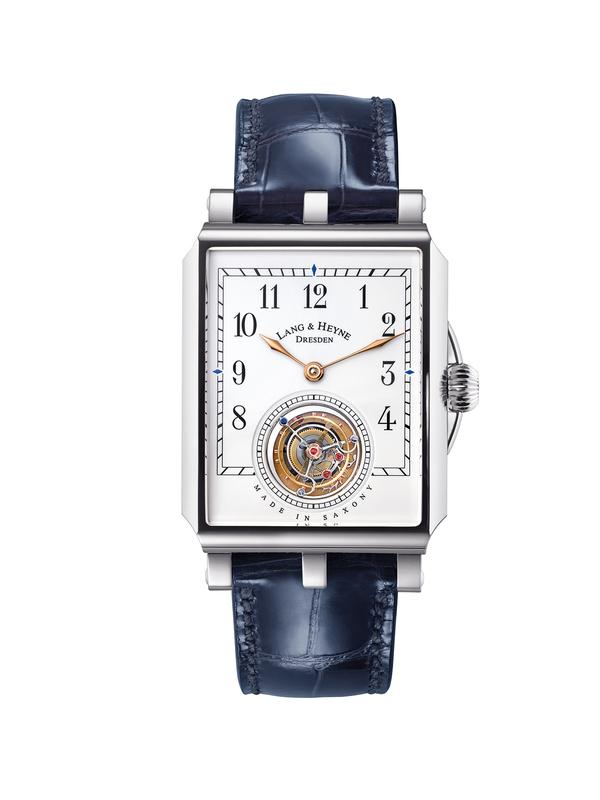 The 2018 Anton is said to be the big brother of Lang’s Georg timepiece, a rectangular art deco piece with an enamel dial. The Anton however replaces the oversized subdial on the Georg for a tourbillon. These functions sit on the white Grand Feu enamel dial, of which houses art deco numerals for the hour indications. The 40mm piece comes in rose gold or platinum with a brown or blue leather strap. It is also interesting to note, the brand uses a three lug system on its cases rather than the conventional two. The Basel-showstoppers go for €86,100 for the gold and €98,700 for the platinum.